Planning a trip to the Upper Truckee River? 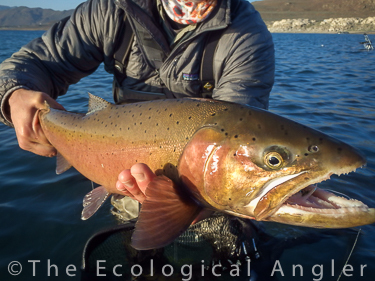 Get scientific based angling intel in The EcoAngler Report - Upper Truckee River. Detailed information on the Upper Truckee's native Lahontan cutthroat populations along with a map and directions to access this wild High Sierra river can be purchased here. Lahontan cutthroat are native to streams and lakes of the Lahontan basin in California, Nevada, and Oregon. In California, they reside in the streams and lakes on the eastern portion of the Sierra Nevada such as the Carson, Susan, Truckee , and Walker River drainages as well as Heenan Lake, Pyramid Lake and the Tahoe Basin. In Oregon and Nevada, the Whitehorse and Alvord basins are native habitat, and the Humboldt and Quinn River drainages in Nevada. Lahontan cutthroat trout were once the only trout (except Eagle Lake rainbow) found on the east side of the Sierra Nevada. They resided in a variety of freshwater habitat from large terminal desert lakes to small headwater creeks. 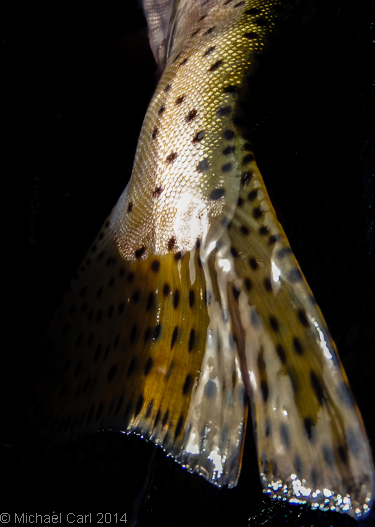 Lahontan cutthroat are particularly noted for their ability to thrive in both high alkaline water as well as survive water temperatures that may exceed 27C for short periods. 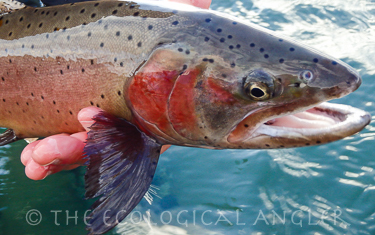 The Lahontan cutthroat is a classifed as a threatened species (i.e.,having been extirpated from most of its native range). Recovery efforts in California have established new, wild populations in several streams. Two of these, Slinkard Creek and the Upper Truckee River, a Heritage Trout Water, are open for catch-and-release cutthroat angling. There are also numerous other lakes and streams in the historic drainages that are stocked with Lahontan cutthroat trout from the Heenan Lake broodstock. 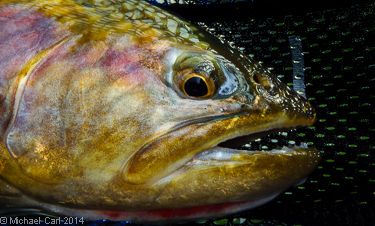 Lahontan Basin Native Trout - Guides from Trout Unlimited on Vimeo.